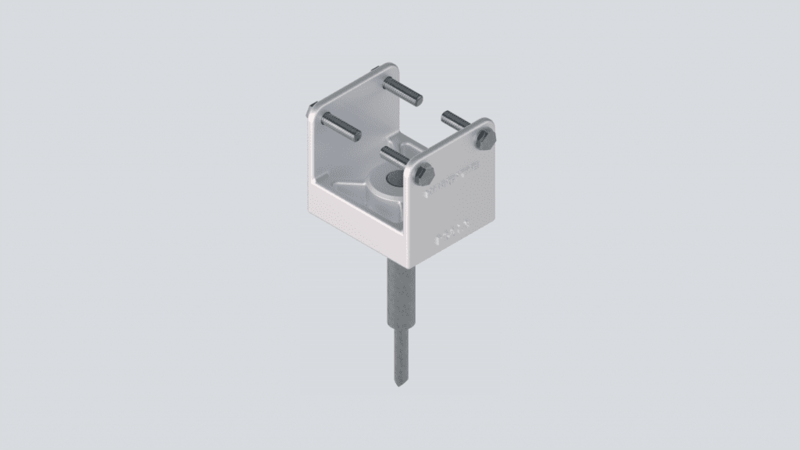 Monkeytoe fixings and extrusions are the foundations for our innovative roof mounting products. We designed the Monkeytoe mounting clips and roof fixings in partnership with New Zealand roofing consultants and manufacturers to ensure full compatibility with roof fixing best practice and roofing warranties. 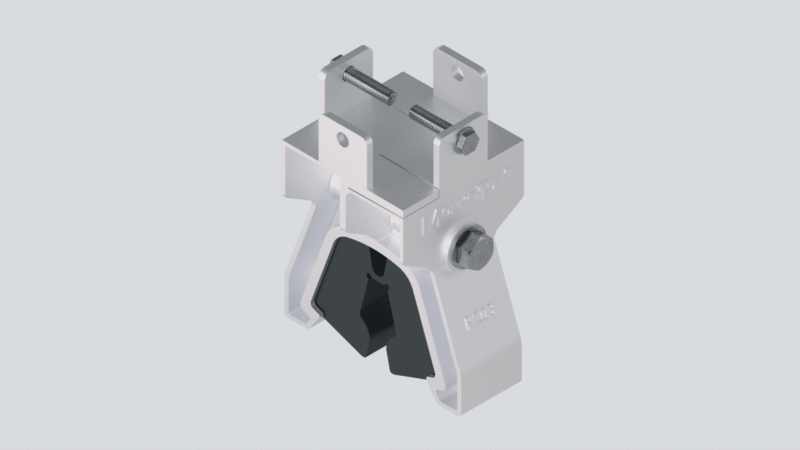 Our unique Monkeytoe clip clamps to the roofing profile without penetration to disperses loads through a network of lightweight aluminium beams. At selected existing roofing fixing points, loads are then transferred directly to the building sub-structure. 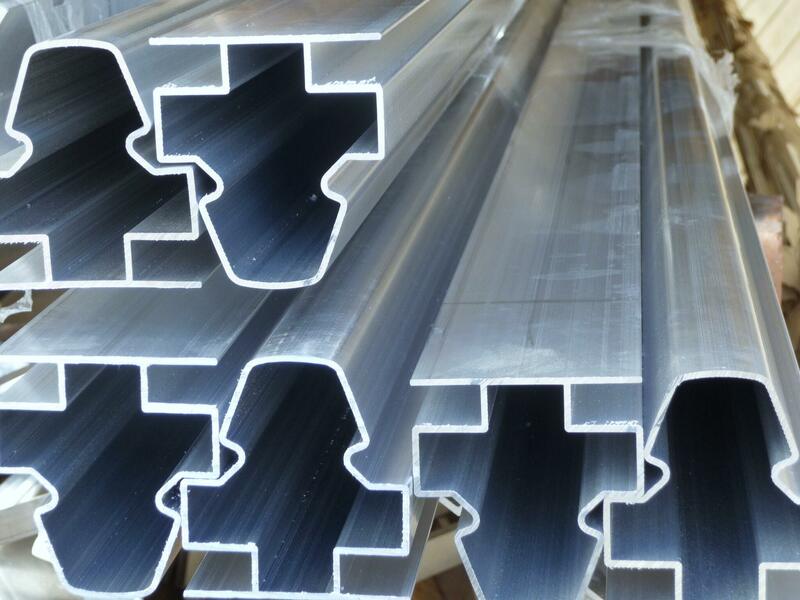 All mounting clips, extrusions and fixings are designed to comply with the ‘dissimilar metals’ standards while maintaining strength and the ability to withstand the extreme external weathering conditions in New Zealand. RC01 – Standard Membrane Plinth Fixing Detail Plinth roof fixing detail to mount to Membrane roofing profile. 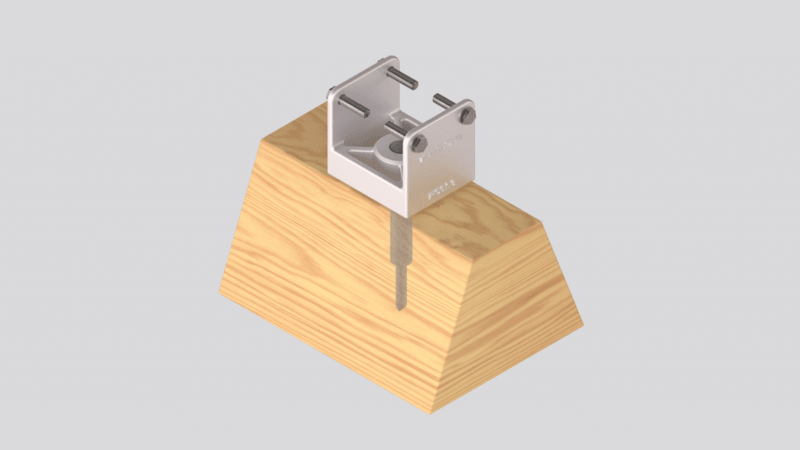 RC03 – Clamped Style Fixing Detail Clamped style roof fixing detail to mount to any hidden fixed roofing profile. RC01 – Membrane Warmroof Plinth Fixing Detail Plinth roof fixing detail to mount to Membrane Warmroof roofing profile. RC01 – Kingspan Roof Jackstud Fixing Detail Jackstud roof fixing detail to mount to Kingspan roofing profile. RC01 – Trapezoidal Roof Jackstud Fixing Detail Jackstud roof fixing detail to mount to top fixed roofing profiles. 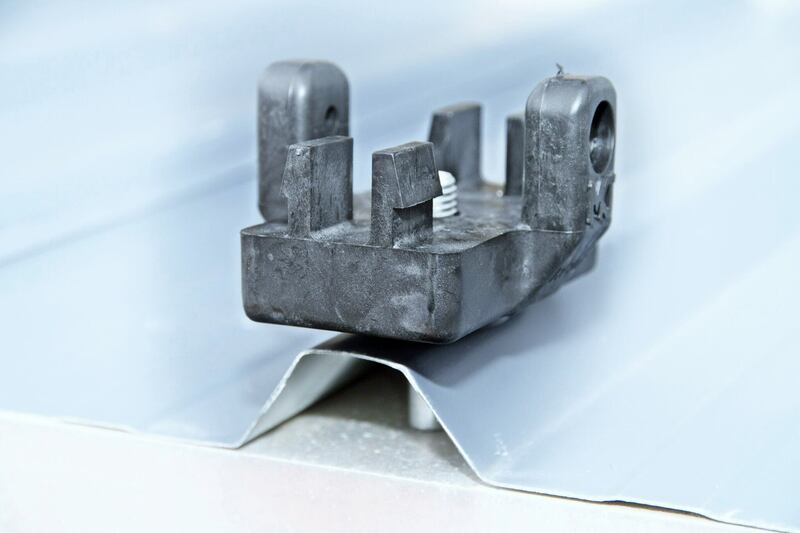 RC01 – Trapezoidal Roof Combistud Fixing Detail Combistud roof fixing detail to mount to top fixed roofing profiles. 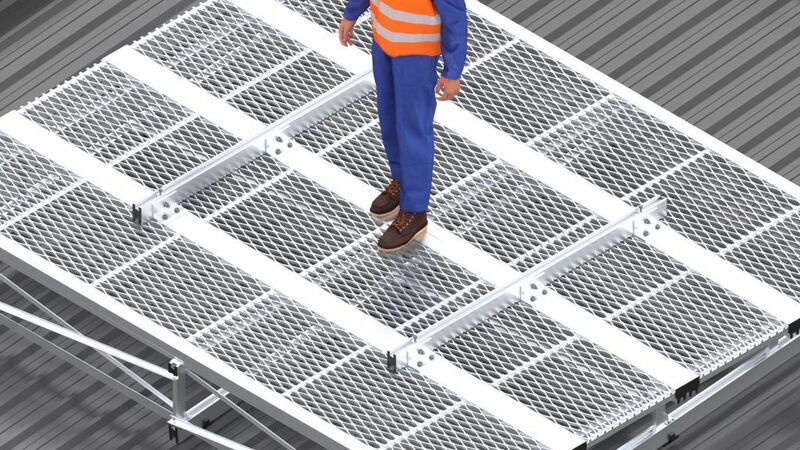 Mesh platform unit support rails – more than 700kg (MP008) Adjustable aluminium platform mounted support rails for HVAC system units/packs of mass more than 700kg. Mesh platform unit support rails – 150-700kg (MP007) Adjustable aluminium platform mounted support rails for HVAC system units/packs of mass 150-700kg. Mesh platform unit support rails – less than 150kg (MP006) Adjustable aluminium platform mounted support rails for HVAC system units/packs of mass less than 150kg. Clamped style roof fixing detail to mount to any roofing profile. Plinth roof fixing detail to mount to Warmroof roofing profile. Jackstud roof fixing detail to mount to Kingspan roofing profile. Jackstud roof fixing detail to mount to Trapezoidal roofing profile. 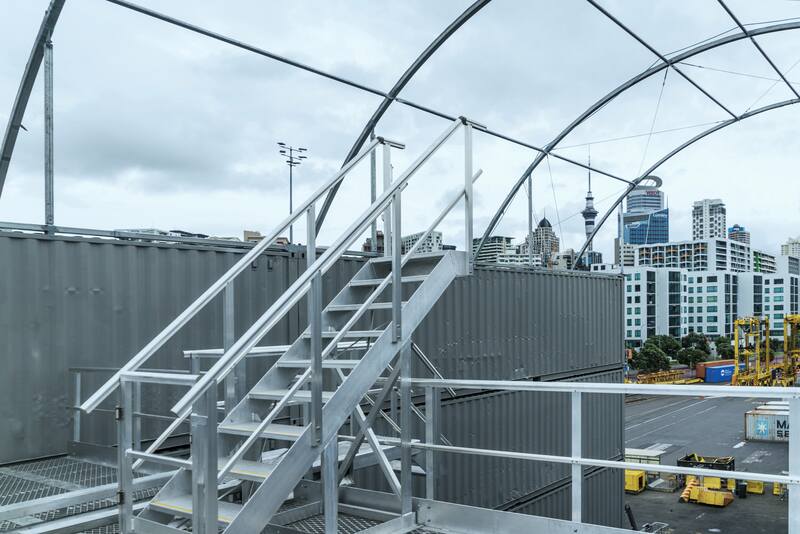 All Monkeytoe fixings have been designed in conjunction with roofing consultants and manufacturers in NZ who provided strict parameters on the essential requirements for rooftop mounting that would not void their warranties. 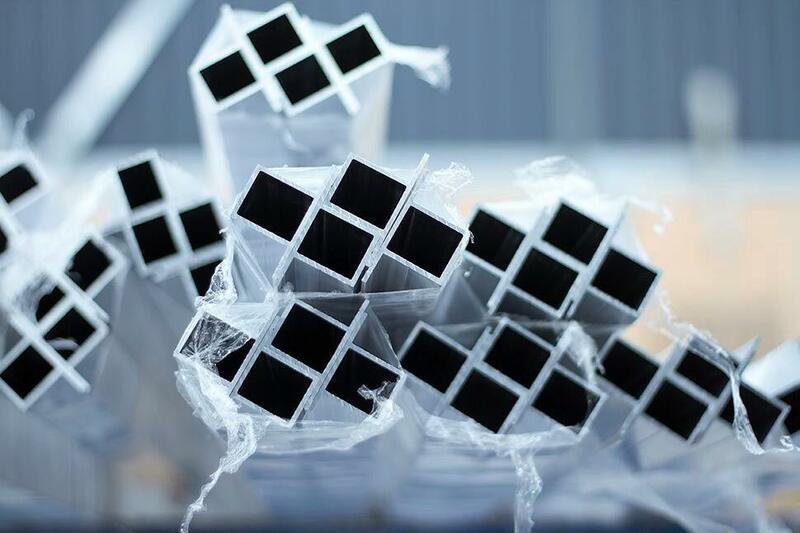 What’s special about your roof fixing method, how does it work? 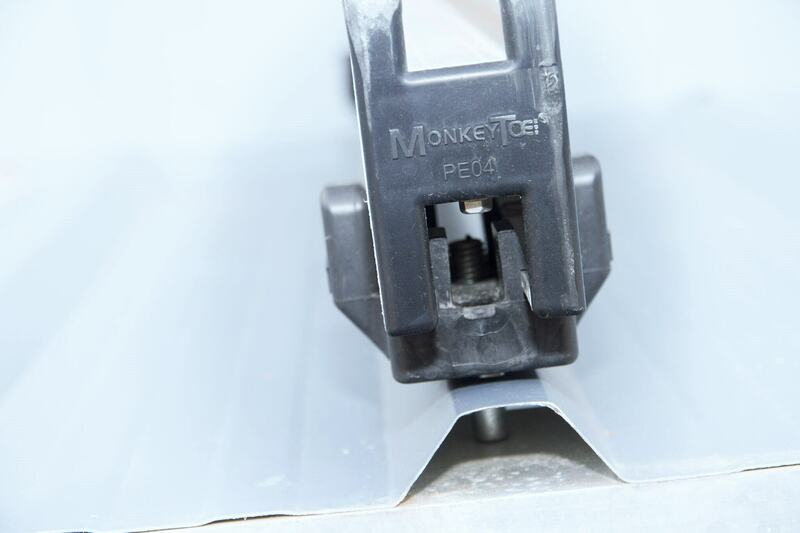 Monkey Toe top fixing roofing clips have specially fabricated jack stud which is threaded into the roofing clip then sits on the purlin below. The Jack stud is then tek screwed onto the purlin and the Monkey Toe clip screws down the outside of the stud until it is sealed onto the roofing profile. 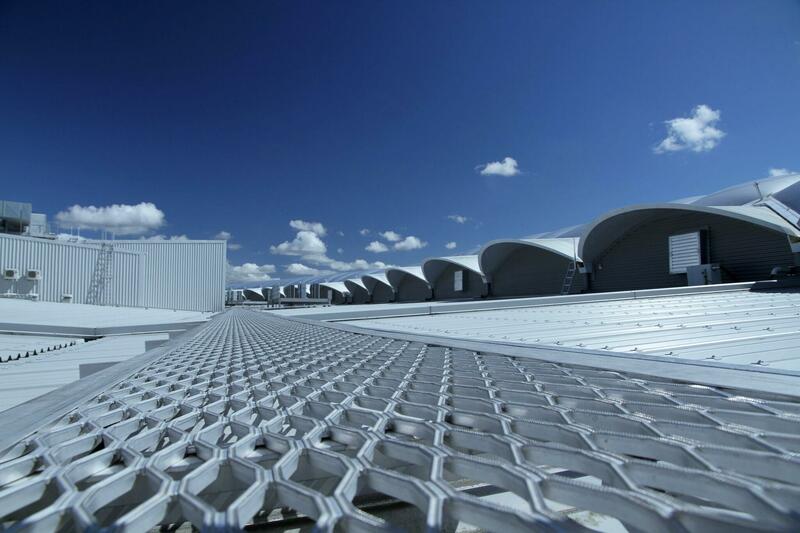 Using this unique Monkey Toe fixing, all loads are transferred to the building structure – not the roofing product. How do we know whether the roof profile is top fixed or hidden fixed profile? Generally you will see a nail or tek screw line in a top fixed profile.